Handpainted ceramic oval plate imported from Thailand. Each piece is painted by hand using a traditional design unique to Thai artisans. You will appreciate the weight of this thick, ultra-high quality plate. 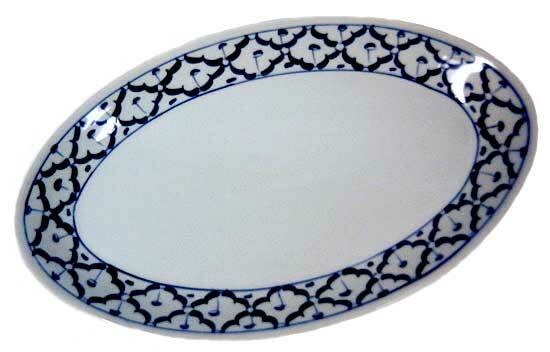 When serving groups at a Thai dinner, serve the main dishes on these plates and let guests share. Approximately 10" long, 6.5" wide. Certified for use in microwave or conventional oven, as well as dishwasher-safe.